STYLE AND CONFIDENCE ON YOUR LEGS – Finally! A Durable Compression Sock designed to last, without compromising quality or Comfort. Double stitched with Anti-Bacterial Fabric your legs will thank you. Feel the immediate Comfort and remarkable design of your new Compression Socks. The Perfect Work, Cycling, or Ski Socks. Quality stitched & Easy to get on even though they are a compression sock! They Wash well without losing compression keeping all the Excellent vascular toning benefits. BECAUSE PUSHING YOURSELF THAT EXTRA MILE MATTERS! Get your blood circulating in style! Great for relief of varicose veins, Calf Compression or other leg swelling issues. Use it every day night or both. Prevent Blood clots after surgery & Fits well unlike other Dr. prescribed Stiff varieties. The compression & support is perfectly located on Heel Foot Calves and the toe area won't squeeze your aching toe joints. Instant comfort support. Moisture wicking properties rapidly air dry in a few hours. TAKE YOUR GAME TO THE NEXT LEVEL – Comfortable material and careful construction. No stitches in places where they'll rub or rip together. Stay put Cuffs Soothing feeling at the bottom and sides of foot with no pinching seen with lesser quality socks without ankle support. Fall in love with your new Compression Socks to pull on. and they breathe! Use in extremely hot weather crossfit through mud water wall/crawl/rope climbs and half marathons. Perfect for extreme races and long runs! 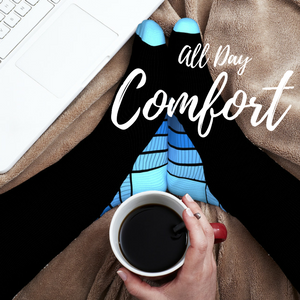 GRAB CONTROL OF YOUR WELLBEING IN STYLE – An Excellent compression hose very durable with a fashionable look and variety colors available. Washable designed with Quality Lycra Fabric built for durability. Customers agree the comfort is amazing. Use them on a plane during that 9 hr flights or during that 6 miles walk Your durable 20 - 30 mmHg sleeves work with your routine. Feel the shock absorption effect instantly that really helps reduce fatigue and swelling in your lower leg. Unlike normal athletic socks, this Compression Sock is designed with gradient compression, The perfect performance gear designed for any activity where your legs are pushed to the limit. This Compression Sock is engineered with the latest arch to calf compression technology, offering a targeted foot to calf muscle support unseen on lesser quality socks. The results are a boost in circulation, delivering an enhanced oxygen blood flow keeping you going harder, for longer, and recovering faster. Get your blood circulating in style! this Compression Sock is Great for relief of varicose veins or other leg swelling issues. Use them every day, night, or both. Prevent Blood clots after surgery, and unlike other Doctor prescribed stiff varieties, it Fit well! The results are a boost in circulation, delivering an enhanced oxygen blood flow keeping you going harder, for longer, and recovering faster. This Sport Compression Socks puts you in the driver’s seat, by bringing you a well-designed Compression Support Sock that provides graduated compression from the Heel to upper Calves. This sock Toe lining won’t squeeze your aching toe joints like other inferior products! Designed for comfort, feel the Instant comfort & support as you slide your Socks up your calves. Feel secure as you witness the Moisture wicking properties working during your workout. Keep your legs protected in the hot summer and warm in the winter. Your new socks will also air dry in only a few hours! 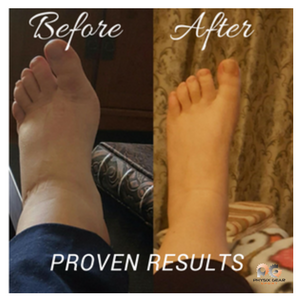 Get the Results you need with an excellent durable Compression Sock, constructed with a new fashionable look, and in a variety colors! Your new socks are Washable & designed with Quality Lycra Fabric, built for durability. Use your this Socks on a plane during that 9 hr flights or during that 6-mile walk. Your durable (20 - 30 mmHg) compression sleeves work within your routine. Say Hello to the Last Compression Socks you will ever need!